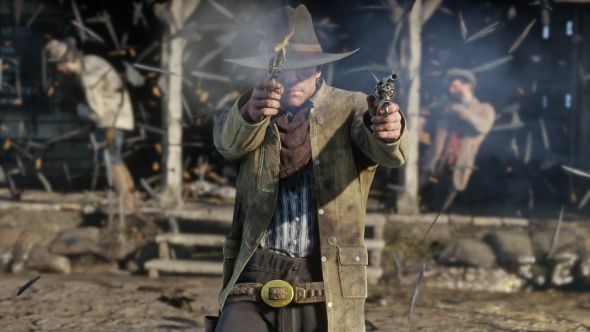 In an earnings call, Take-Two CEO Strauss Zelnick says the PC is a “very, very important” platform for them, increasing the hope that the publishers may bring Rockstar’s Red Dead Redemption 2 to PC sometime after the game’s console release in October. Check out our list of the best sandbox games on PC. Responding to a question about new platforms in the conference call, Zelnick talks a little about how Take-Two handle new console generations, before mentioning how vital the PC now is to their business compared to ten years ago. This came immediately after Zelnick spoke about how Grand Theft Auto V was “extraordinary” for how successful it was in crossing different platforms and generations, and added “we will make decisions about what [platforms] to support based on our view of potential success”. Red Dead Redemption 2 is out on PS4 and Xbox One in October, and if the PC is as important to Take-Two as their CEO makes it sound, there may be a PC port on its way too. One game from them you shouldn’t expect any time soon, however, is Borderlands 3 – which is almost certainly the “highly anticipated” game they have delayed until 2020.